Mix in a bowl, mayonnaise, Ring of Fire ® All Purpose Seasoning and lemon juice. Add diced chicken, carrots, onions, celery, pistachios and dried cranberries to bowl and fold until all ingredients are well blended. 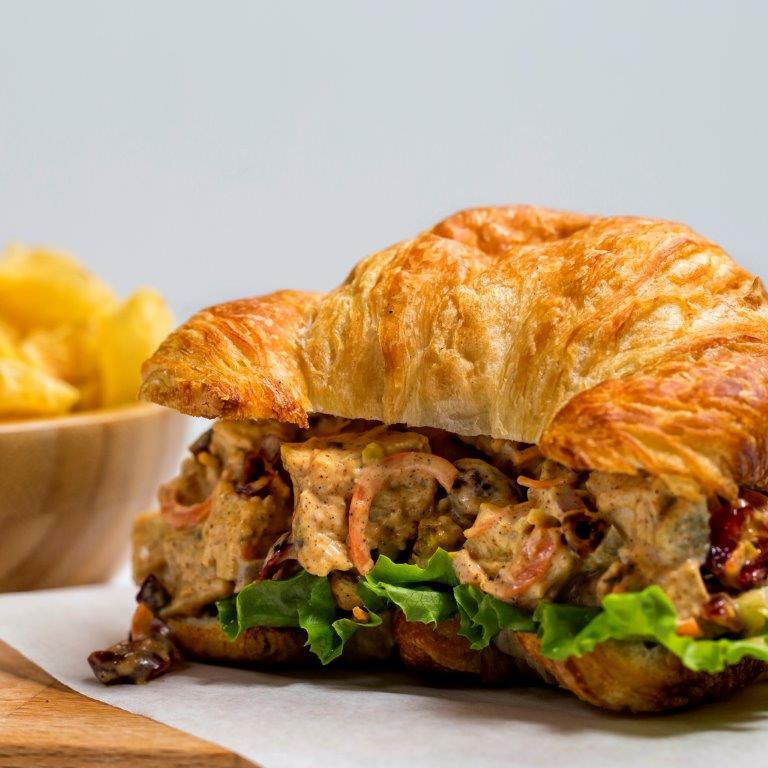 Cut croissants in half and place 1/4 of the chicken salad onto each croissant. Serve with chips or salad.